It’s unusual for things to stick around New York City. In a place that’s constantly moving, constantly changing, constantly striving to be the best and the boldest, it is understandable that the pressure is great. The city, at most, is a complicated love affair offering you treasures in the form of new favorites…restaurants, boutiques, coffee houses, galleries, apartments, friends, jobs… you lose your heart, you fall in love, you grow to need them and then one day they are gone. It’s life lived bittersweet, but in an environment that constantly strives to out do itself, it’s to be expected. To Ms. Jeannie, that’s what makes the city wonderful. It’s addictive and adventurous and mysterious. It’s here one minute and gone the next. But every once in awhile you get lucky, the city gods smile upon you, and one of your favorites winds up sticking around for many, many years and many more beyond that. 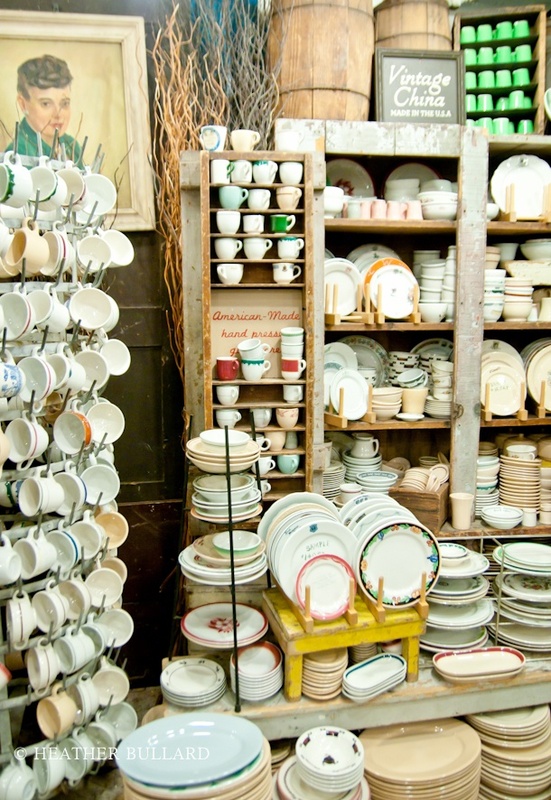 Such is the case with the whimsical vintage china and kitchen shop, Fishs Eddy, located at Broadway and 19th street. First opened in the mid-1980’s by Julie and her husband, Dave, Ms. Jeannie first discovered it thanks to her brother, who had purchased a vintage Howard Johnson’s creamer there, and then went about telling all of New York how wonderful of a place it was. Like her brother, Ms. Jeannie was smitten right away. Having just moved back to the city, from Seattle, it reminded her a bit of the market stalls in Pike Place, where everything was a feast for your eyes in that simple, unearthed presentation way that spoke a straightforward this-is-what-I-offer language. It also reminded her a bit of the one day sample sales, she had just started frequenting with her girlfriends. These were sort of “secret” sample sales where you had to be on “the list” and show up to a hush-hush location where designers opened trunks of clothes in near empty buildings and let you rummage through one of a kind fashions that were just retired from the runway or design studio. Of course these were deeply discounted clothes in waif sizes but you couldn’t help but feel like an adventurer among all those fabrics and that you being offered something rare and unusual. That’s exactly what Ms. Jeannie felt when visiting Fishs Eddy for the first time. It was exhilarating. 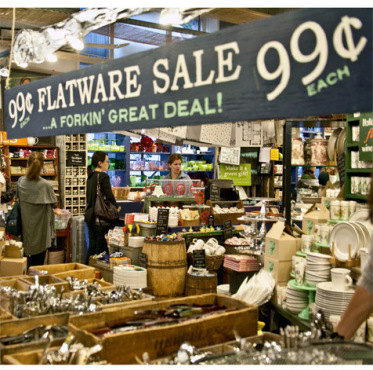 Barrels of retro plates and cups, bins of mismatched silverware, shelves and cabinets of affordably priced pitchers and platters, cups and glassware. And then there was their sense of humor, their quirky signs, their whimsical displays. It was all perfection right from the very beginning. Ms Jeannie: Where did your love of china and glassware begin? Julie: After college I moved in on west 15th street. Dave was working at his cousin’s shop called the Wooden Indian. It was this quirky little store at the end of the block, they sold restaurant glassware and some dishes, along with a lot of peculiar stuff. 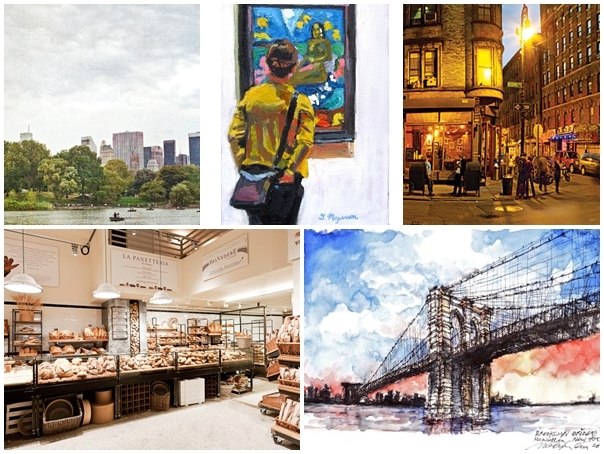 It was a fixture in the West Village and a lot of cool artists and locals shopped there. Dave was working behind the counter, and well, the rest is history. I had graduated from Syracuse University and knew a little about Syracuse China-a major American manufacture of restaurant ware located near the campus. Dave knew a lot about restaurant dishes and glasses. He also knew how to run a shop. So he left his job and we opened our own store. The more we went out searching for dishes and glasses, the more we learned about these incredible factories and the manufacturing process and the wonderful people behind it. MJ: How did the Fishs Eddy concept come about to begin with? If I understand correctly, Fishs Eddy started with your barn discovery of old restaurant ware back in the 1980’s. Did you know that you were specifically looking for dishes that day or did it just happen to work out that way? If you had stumbled upon a barn full of old lamps do you think you would have then been in the vintage lamp/lighting business?! J: Well we wouldn’t ever sell lamps because chances are, for us at least, if its something that has to be plugged in, it won’t work! But back at the shop we were already selling vintage restaurant china and glassware -because both Dave and I shared a passion for that kind of stuff. 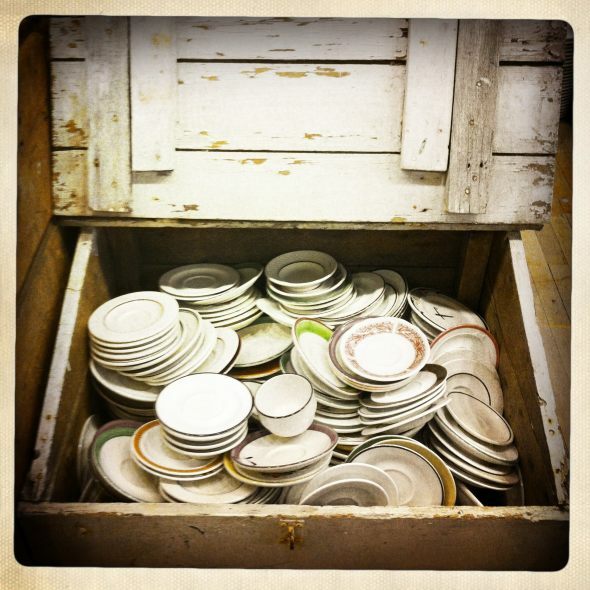 So we were searching for dishes when we stumbled upon that barn filled with “ware.” The thing is, we were always picking up odds and end, finding a dozen of anything would be a big deal…and here was a whole barn filled! MJ: Did you grow up in New York? 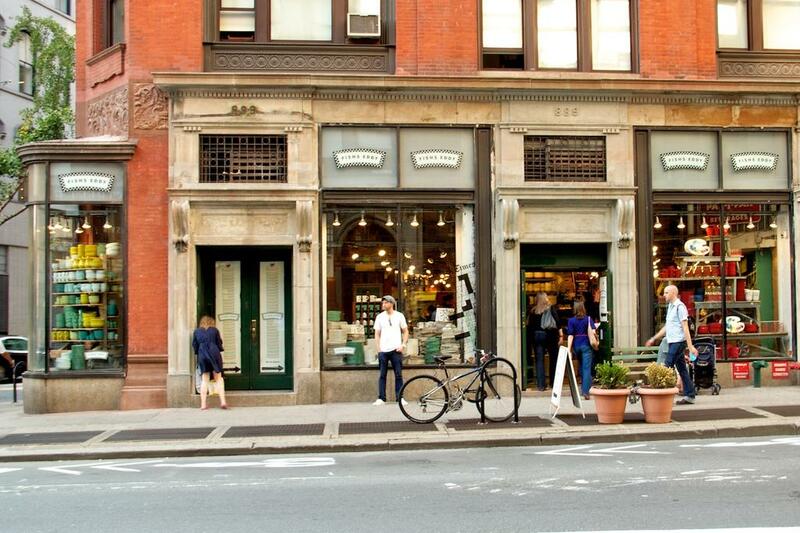 Why did you decide to open your first store location in the city as opposed to the suburbs or surrounding boroughs? J: I grew up in Staten Island. I love art and dragged my father into the city any chance I could get to take me to museums. I always knew I would do something in the city. But I thought I would be a painter, I didn’t think I would have a business. It all worked out. MJ: When you opened up shop in 1986, did you find that people got the mix and match concept right away or did you have to educate them about all the whimsical possibilities? J: It’s funny how it all happened because it didn’t happen by design. 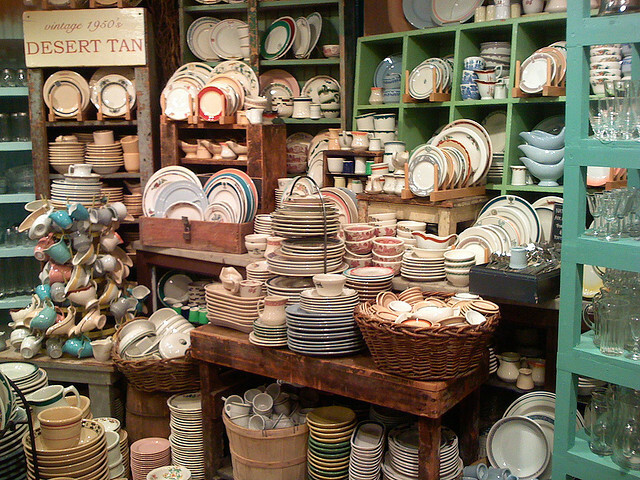 Many many years ago we were hauling endless bushels of dishware out of the basements of the restaurant suppliers down in the Bowery. In those days the Bowery was the restaurant supply district. Those bushels we were hauling were filled with mixed pieces. It’s not like there were sets of anything. It was all obsolete cups and sugar bowls and mugs and plates. When we displayed these dishes in the store everything looked great together, even though nothing matched as a set. 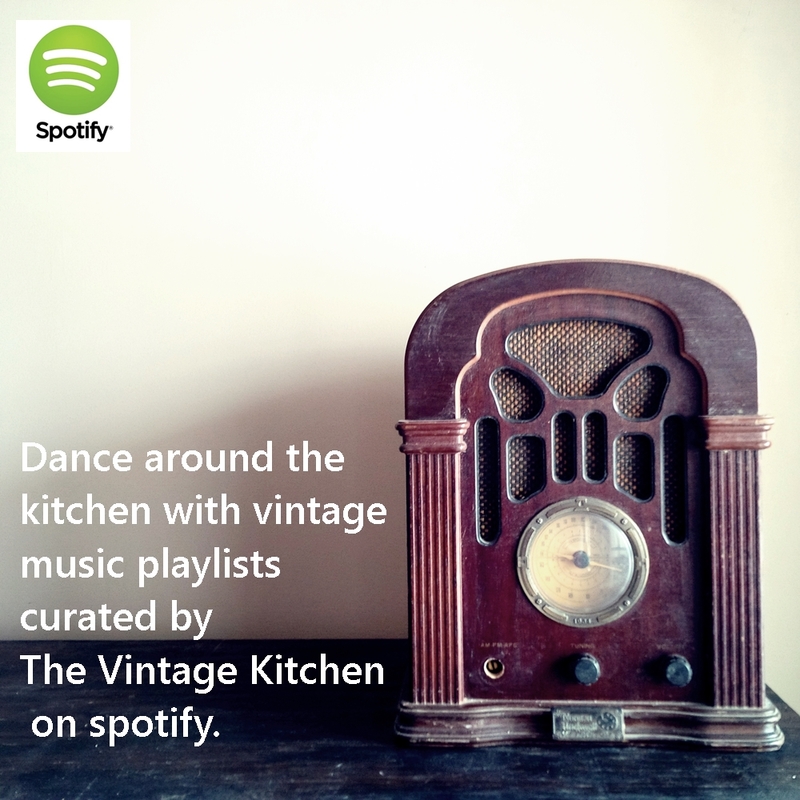 We merchandised our dishes the way were finding it, massed out in those basements. It was the best suggestive selling we could have ever done. People were excited that the common denominator was the great restaurant quality and they felt comfortable putting mixed patterns together to create something very unique. I have to say without sounding too presumptuous, I do believe Fishs Eddy was at the forefront of that whole approach to table top. A “traditional” Fishs Eddy store display. Look at all those possibilities! Photo via flickr. MJ: I was first introduced to Fishs Eddy through my brother who had bought a vintage Howard Johnson’s creamer from you guys. That was was 20 years ago and I still think about that creamer! Is there one item like that from the early days that brings back a sense of nostalgia for you? J: Hmmmm that’s a hard question because there are so many. The one pattern that I get very nostalgic for are these fantastic little cups made for the La Fonda Del Sol restaurant in the city. They were designed by Alexander Girard and had a fabulous design that was so 50’s and strikingly modern. The best part is that we’re working with the Girard family and bringing those dishes back! I still can’t get over that we’re producing a pattern that we found sitting in a basement 25 years ago, and who knows how long they were sitting there before we rescued them! Alexander Girard (1907-1993) is an American born designer who studied in Italy. 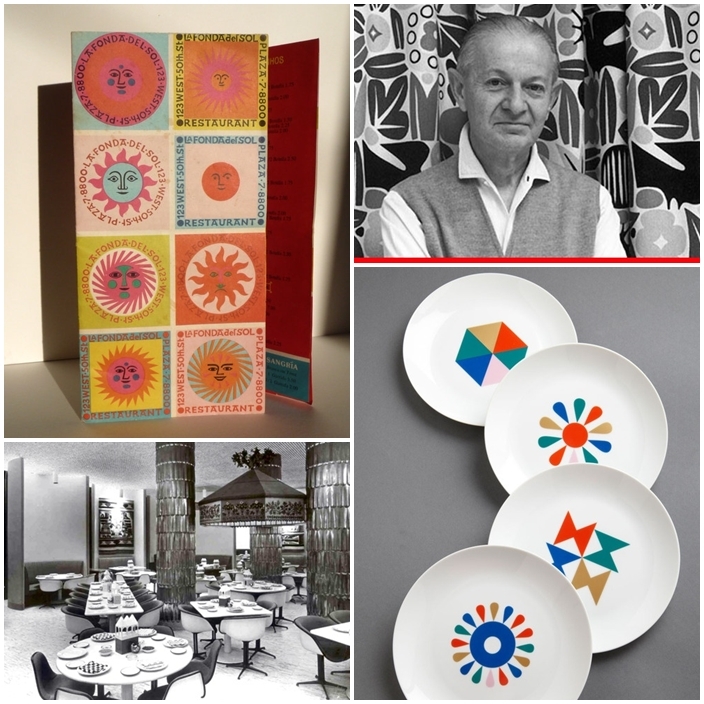 He is most known for his textile designs for Herman Miller, but in addition, he designed the visual concept of the original La Fonda del Sol restaurant in New York, circa 1960. Pictures (clockwise top left): (1) the original menu designed by Girard for the La Fonda Del Sol restaurant, 1960. (2) Portrait of Girard. (3) Porcelain plates designed by Girard now available at various museums. (4) The original La Fonda Del del Sol Restaurant, 1960. All photos via pinterest. 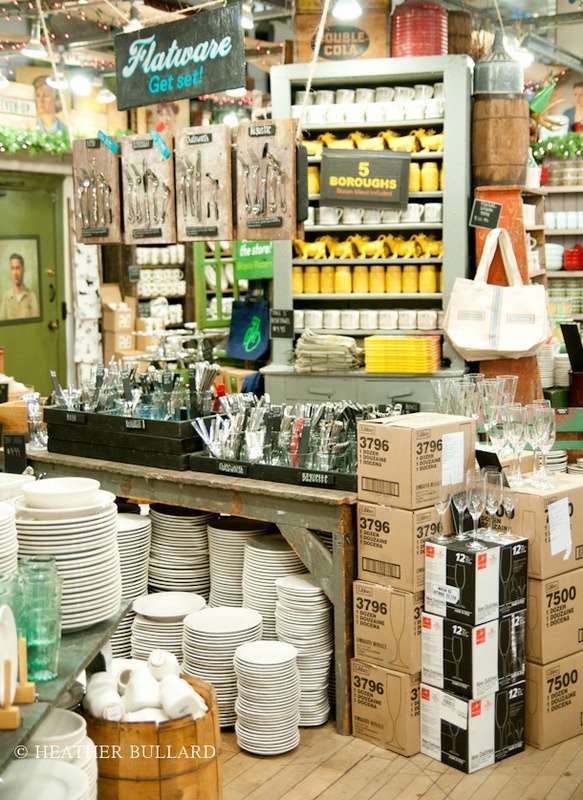 MJ: One of the most fun things about visiting Fishs Eddy is your store displays – with the old crates and big bins of bits and pieces, it makes everything feel like a constant discovery. Like we’ve unearthed a treasure that you might not even know you had. That’s great design! How do you come up with your display concepts? Even the cardboard boxes seem to fit right in! Photo by Heather Bullard. 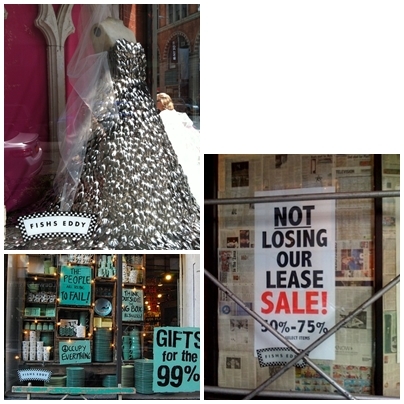 Quirky window displays. The wedding dress is made entirely out of spoons! J: I tell our visual people that if it looks as though they spent any time at all thinking and strategizing about how a display looks, then the display is going in the wrong direction. We aren’t decorative and we aren’t “fluffy.” Every fixture in the store has a purpose, opposed to other stores that put random and useless props out to set a mood. Our dishes and glasses are what sets the mood and I think that kind of straight forward merchandising gives customers a lot of credit. People are very creative if you give them a chance. MJ: Design-wise, who or what inspires you? 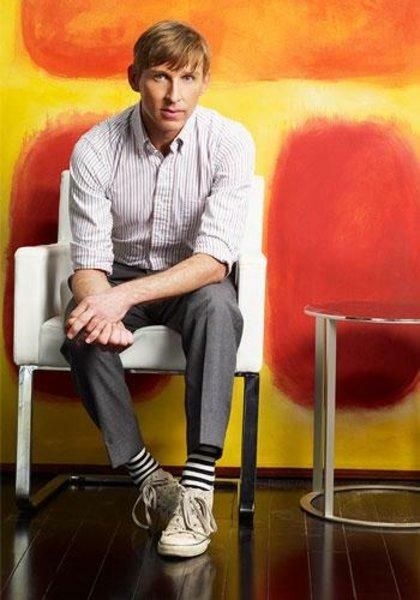 J; Without a doubt, Todd Oldham! We approached Todd a few years ago thinking this guy is never going to call us back…but he did! Todd is truly a talented and brilliant designer, watching him in action is awe-inspiring. We’ll be talking about how to lay out a graphic or something like that, and Todd will just see something that is totally unexpected, but it’s always right! But what inspires me even more is that Todd is most unpretentious, giving and wonderful person ever! His partner Tony is the same way. Todd overseas the Charley Harper estate and could have given that design to anyone for dishware. God knows a lot of people would have killed for it. But he trusted this small business to do the best quality. He doesn’t make decisions based on how much money he could make. I‘m inspired by Todd as a designer, and just as much for the person that he is. How many people can you say that about? MJ: What is the most exciting item you ever discovered on your buying sprees and where was it from? 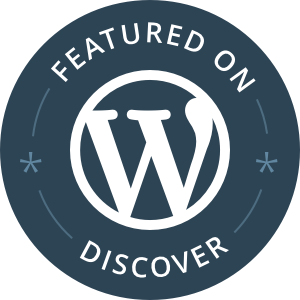 J: We’ve discovered a lot of things. But I have to say one of the most exciting pieces that we’ve ever come across was this very large punch bowl from the 21 Club in NYC. The 21 Club was a speak-easy and I always think about how that bowl was probably made for some kind of spiked punch! Side note: To see a fun quick little video of all the “hidden” doors, vaults and prohibition- era trickery inside the 21 Club click here. The 21 Club in Manhattan – now over 80 years old! MJ: Is there a particular pattern or brand that creates a frenzy among Fishs Eddy customers? J: Customers really love our Charley Harper dishes that Todd designed. They also love some of the crazy one-offs that we mange to get away with, like a little tray that’s Obama’s birth certificate! That was a frenzy because it came out around election time. The Obama Birther Certificate Tray exclusively from Fishs Eddy. MJ: After 25 years in the business, do you think you have seen it all when it comes to china patterns? Is there a holy grail of patterns that you are anticipating? J: Haha….a holy grail of patterns? I love anything that was done in a spray mist pattern. That was popular in the 50’s, so I guess if I found a barn filled with that stuff I would start worshiping. And trust me, it takes a lot to get me to worship! MJ: What’s one of the best customer stories you can recall? J: One of my favorite stories is when a customer took a photograph of the Fishs Eddy sign on the highway on route 17. They sent the photo to us and said “did you know they name a town after your store?” That town was founded about three hundred years before we were! 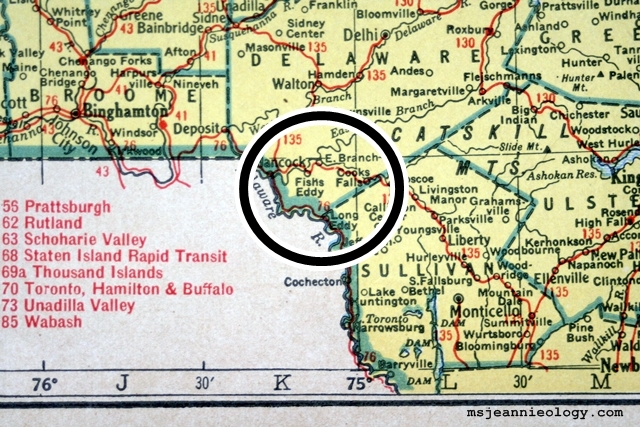 Ms. Jeannie consulted her 1943 vintage atlas and was thrilled to see that Fishs Eddy, New York was listed on the map! In 1943, it had a population of 488, in case you were wondering! 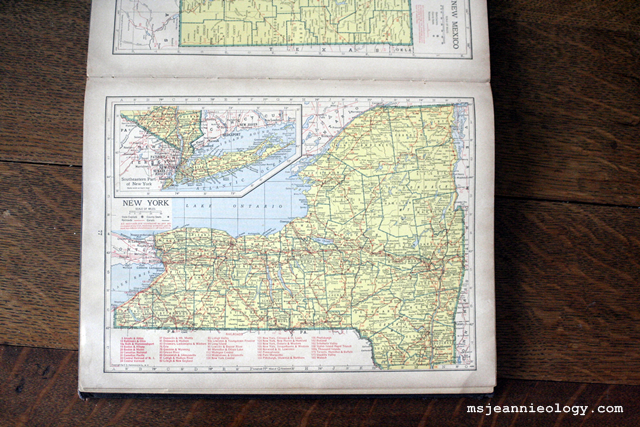 It’s located in the southern part of the state, right in the crook of Catskill country. 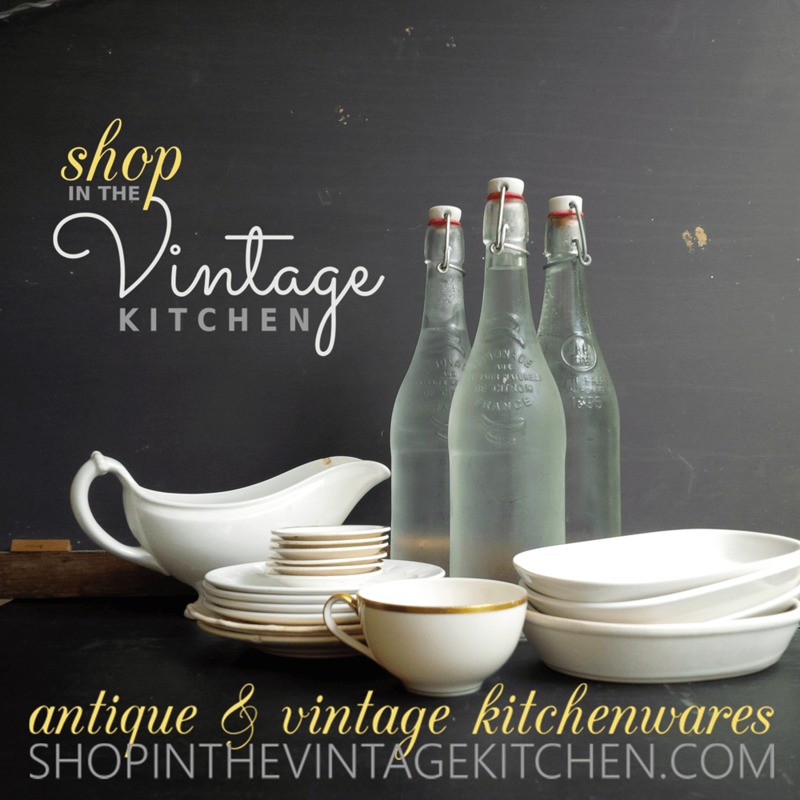 MJ: I absolutely love antique ironstone pottery and get so excited when I come across a piece. The older, more aged and imperfect looking the better – if it has a crack or a chip it is absolutely perfect! What sort of pieces or brands get you so excited like this? Ms. Jeannie’s most beloved ironstone pottery platter dating to 1850. J: I love any dishes that have the original guideline markings under the glaze. There was this guy named Ray who worked forever at Shenango China factory and he signed off on all the sample plates. So we have lots of these plates with Ray’s signature. He even doodled on some of them! MJ: What is your most favorite piece, or collection, in the shop right now? J: Right now at this very minute I love this funny little pattern we did with the winner of our annual design competition at Pratt Institute. We’ve been doing this competition for several years now and some of my favorite patterns have come out of it. I love student work because it’s so unfettered. Last year the theme of the competition was politics. I did get a lot of elephants and donkeys but this one student submitted a Teddy Roosevelt pattern that’s totally adorable. I was thinking, where else would you get Teddy Roosevelt dishes other than Fishs Eddy??? And, we had it made in America because of course, you can’t outsource TR! It just makes me happy to look at! MJ: Is it ever nerve-wracking to be around so many fragile things? J: We’ve broken some pieces of our collection that, after the damage, I just have to go and hide under a rock for a few hours -but at the end of the day, they are dishes. MJ: I saw your recent blog post about Stanley Tucci stopping by for a book signing (very cool! ), do you have a big celebrity clientele? And have you, yourself, been star-struck by anyone that’s visited the store? Stanley Tucci signing books at Fishs Eddy. Photo courtesy of the Fishes Eddy blog, Table of Content. J: We do get a lot of celebrities. The one person I might have frozen in star “struckenness” is Bill Clinton, who came in a few months ago while I was out to lunch, of course. Julie didn’t miss out on meeting Stanley! There she is (in the glasses). Photo courtesy of the Fishs Eddy blog, Table of Content. Click on the picture to read more about the event. MJ: If you could sit down to luncheon with anyone famous, alive or dead, who would you chose? 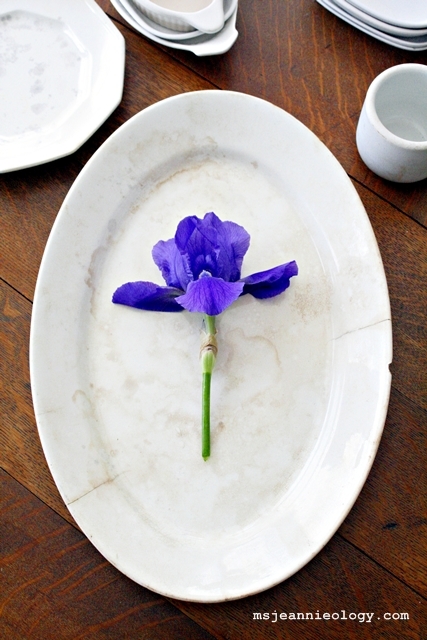 And what would your place settings look like? J: Gloria Steinem is one person. I sat a few rows behind her once when I went to Carnegie Hall with my father. I only watched her for the entire concert. Anyone who speaks up for gender equality is someone I want to have lunch with. And then there’s Hank Williams because I love county music. I know, I’m a big walking conflict of interest because it’s not like county music preaches gender equality. Julie’s lunch companions. Ms. Jeannie bets there would be some interesting conversations going on between these two over lunch! Gloria Steinem is an American journalist, activist, feminist and was the leader of the women’s liberation movement in the 1960’s and 1970’s. 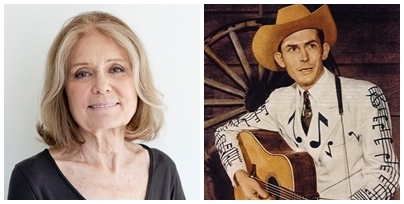 Hank Williams (1923-1953) was a highly influential American country music singer-songwriter. MJ: Can you name some restaurants or hotels that have utilized your food service supply line? J: Marcus Samelsons Red Rooster, Joseph Leonard, Perla, Prune, Maialino, La Bernadine….too many to name! Red Rooster Harlem – American comfort food cuisine – between 125th and 126th Streets (click for their menu). Photo via flickr. Joseph-Leonard American Restaurant and Bar in the West Village – 170 Waverly Place. Click for menu. Photo by Daniel Krieger. Prune – American homecooking with multi-cultural influences. Located at 54 East 1st Street (click photo for menu). MJ: If one of our readers was visiting NYC for the first time and you were their tour guide, what five places would you take them and why? J: I would take them to my house, because I have the best view of the Hudson River and the Statue of Liberty, and a collection of paintings that I love to show off. I would take them to Central Park, the MoMa, the lower east side, Eatly, and we would walk over the Brooklyn Bridge. Why do I only get five places? Cheers for being a mainstay, Fishs Eddy, and cheers again, to 25 more years in the dish business! This interview is part of a series of interviews Ms. Jeannie has been conducting with various artists around the world, for over a year now. To read more from this series, click here. Next Twice the Fun: Two Derby Parties in One! I don’t think I’ve ever enjoyed my morning “reading with coffee” as I did today with this incredible post! Makes me want to hop in the car and head to NYC! Oh so glad you enjoyed it Pat! Oh how fun! I think Teddy would be pleased that he’s sharing a plate with a bear. Glad you found some new favorites. Thanks Kathy! Glad you enjoyed it!